A good pump that could be a great deal of help to dispense liquids like gasoline, kerosene and oil up to 7 gallons per 100 revolutions is this Aluminum Rotary Drum Pump. With suction distance at up to 5' and lift distance up to 16' 5", the pump is easy to use as well as simple to install and operate. 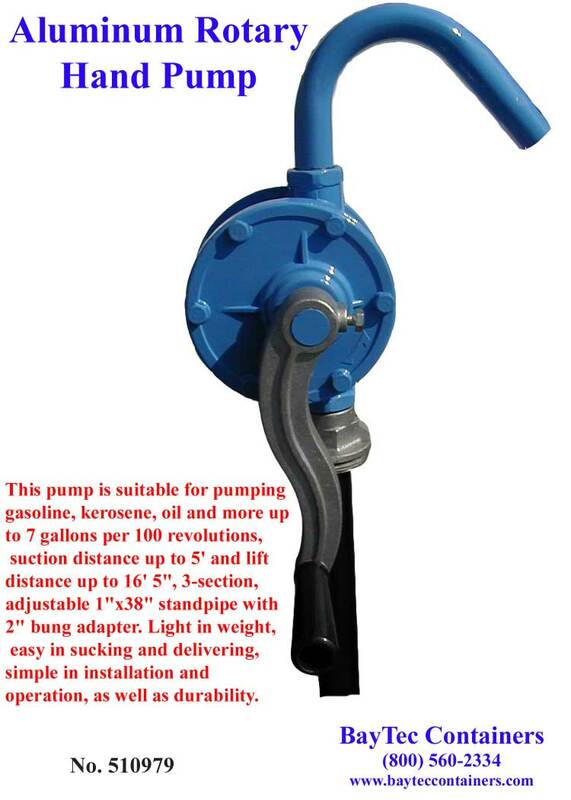 Light in weight, the pump that comes with 3-section, adjustable standpipe and 2" bung adapter is highly durable. To view more info on the prices, click here. If you need more assistance in more information on the technicalities of this pump, feel free to email us at sales@baytec.net.